Been a while since my last post so I guess I should update. I got some nice stuff since my last post which for a long time have been on my list for OA pieces so to already of gotten them this early in the year has been a great feeling. The first one I got is this Darkhawk splash I bought directly from Mike Manley who was the artist for series, and also the co creator of the character. It comes out big so I have to put spoilers on it. 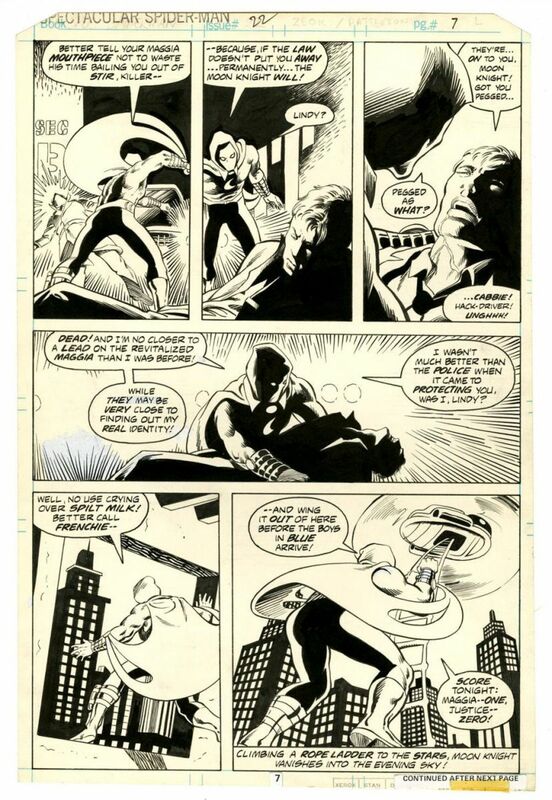 Here's the other page I got, a George Perez New Teen Titans page. It was on my list for a while, and was glad to finally get one. I had even bid on this exact page in the past, but lost out on it, so seeing it available again was great. I've had these for a while, but don't think I've ever posted them. Some TMNT pages from the first series #37 to be exact. Pencils by Rick McCollum, and inks by Bill Anderson. Guess its time for an update since my last post. I've been slowing moving away from buying moderns except for a few by Image, and smaller publishers since I've lost a lot of interest in many of the Marvel, and DC titles. The issue is though that they take up space so I've been buying the trades instead. The most recent one I got was "Paper Girls" written by Vaughn, and art by Cliff Chiang, and like many have already said, its great, I'll definitely be picking up the second trade when it releases. I was also Able to pick up another "Blacksad" which is worth it for the art alone, I can't wait for the new one to be released. Lastly I got the the Joe Kelly DeadPool omnibus, and the "East of West Year One" hardcover, and they're both huge! I also have this recent purchase. I wasn't really looking to get a copy, but happen to see this one at a LCS, and the price was right so I figured why not? Even though the movie has apparently had less then stellar reviews (I haven't seen it yet) I still love the story, and just finished watching the animated movie versions on HBO a few days ago. Also if you're a fan of Miller, or Batman in general I recommend you get the leather bound version which has the complete Dark Knight Returns, and Year One as an added bonus in it. Plus it makes your bookshelf look sophisticated. I just realized I forgot to show the recent pieces of OA I've added to my collection. The first was actually a birthday gift by a family member which really surprised me since I didn't even plan to even bid on the Comiclink auction, and yet still got something from it. The reason why I'll explain later on in this post. Like I mentioned above it was a family member who got this as a surprise birthday gift for me, which I didn't expect to say the least. I just happen to be looking at it online wishing I had to funds to go after it, but figured thats just how collecting is at times, and you can't get everything. I didn't know that the person who got it happened to be listening to me about it though, so to not only get something I thought I had no chance of owning, and it being from someone close to me is something I can't even put into words. Its worth so much more to me that its something I could never sell. Now for the second piece which will also explain why I didn't have the funds to go after the piece above. 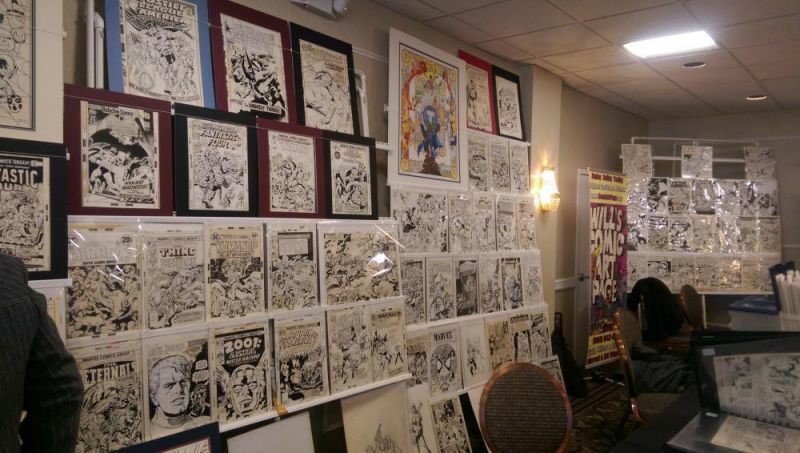 To start it goes back to the last major Heritage auction, where they were auctioning the Spider-man Wolverine cover art, which was one of the highlights of the auction with many collectors wanting to own it. 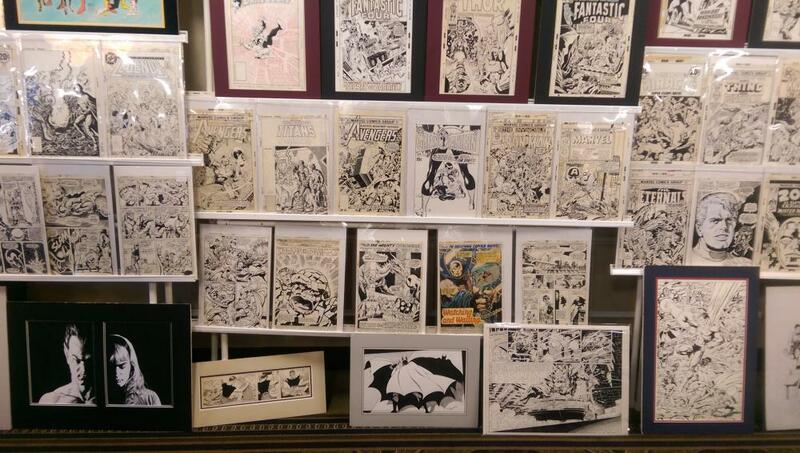 One of those collectors to finance the attempt at getting it started to sell his pieces where one person I know who I consider a friend in the OA art hobby bought something of high value from them, and to pay for that purchase they also began to sell pieces from their collection. One of those pieces I soon learned now made available from talking with them about their latest buy was one I had been eyeing myself, but never tried to get from them. After he told me the price I made a half joking comment that I would by it myself for that number if I hadn't already spend a lot of my budget on other recent buys, which was true. He told me that he would take time payments, as long as I could get him 50% to him before the auction ended so that really made me think about it seriously. On one side it was of a character, and piece I had wanted for a while, and new that someone else would either buy it, or that my friend would change his mind about selling it, and if it did become available again it would be for a lot more $. On the other hand if I went did get it, it would be the most I ever payed not just for OA, but anything in the hobby, not to mention that I had already blown almost my whole collecting budget on earlier buys so it would not only be the most I spend, but I would need to think if where I would even get the rest of the funds from. After thinking about for the night I agreed to the deal, and worked out the time payments. Just now I realize this is the first deal I ever did time payments on also. After doing some budgeting that only a college student knows how I was not only able to finish the payments, but do it ahead of schedule too. It was hard, but worth it after I got it out of the packaging. Also does anybody else want to share any stories of having to make hard choices where you didn't think it was possible to swing a purchase, but made it work? Wow basically a year since I've posted. This also makes it the first post on the new boards. The end of 2016, and 2017 have really been an interesting time in my collecting life. I've really changed from when I first started collecting, not only in what I'm willing to spend, but on what. I've decided to try, and focus down my collecting. 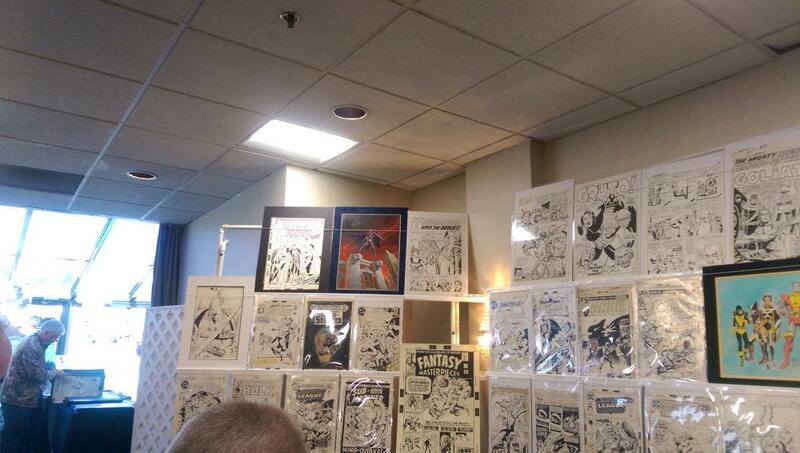 Getting examples of artist, and characters for original art, and some marvel silver age keys, mainly TOS 39, X-Men 1, and DD 1. 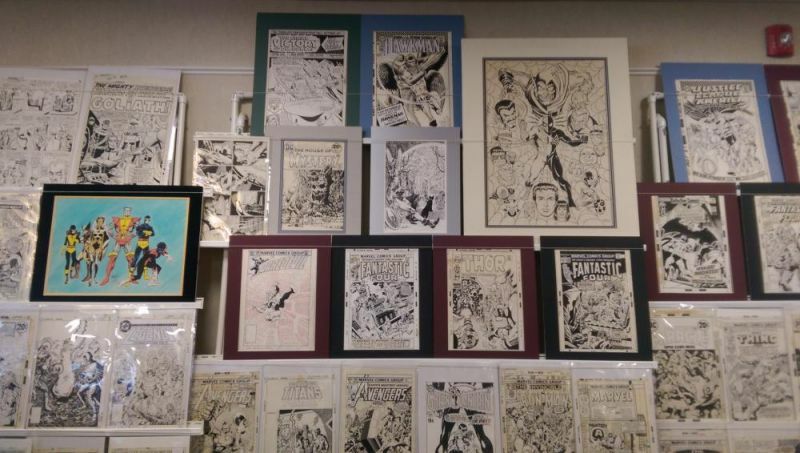 Since my last post I've been able to really acquire some nice pieces of OA, minor keys and have even gotten some leads concerning to my quest for finding some Marvel Fanfare Pin-ups pieces. Now time to post some buys since I last posted! This is probably one of the most unique, and favorite pieces in my collection. 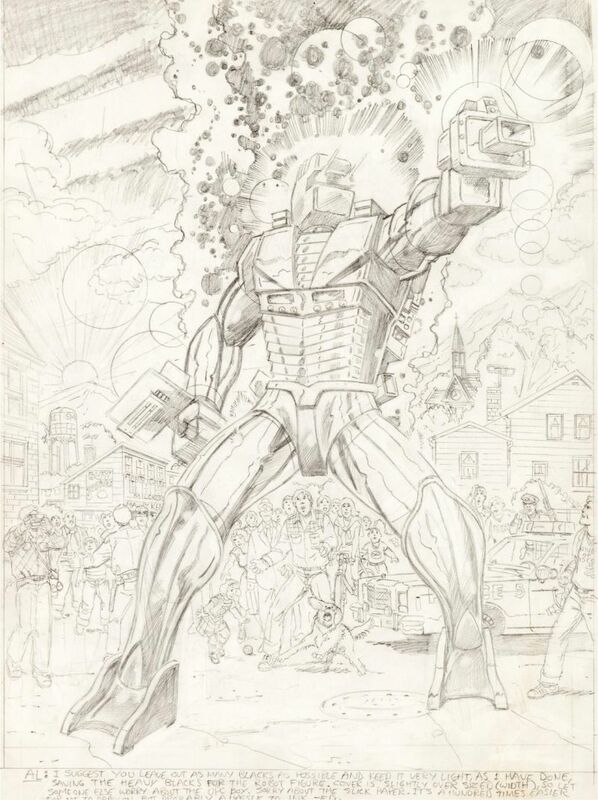 The unpublished cover to ROM Spaceknight #1. It also happens to be my first ever buy from Heritage. It was a hard choice since it was between this, and a Moore Swamp-thing piece I had my eye's on, but who doesn't love some ROM? P.S If you have any ROM OA you might be interested in selling please PM me! 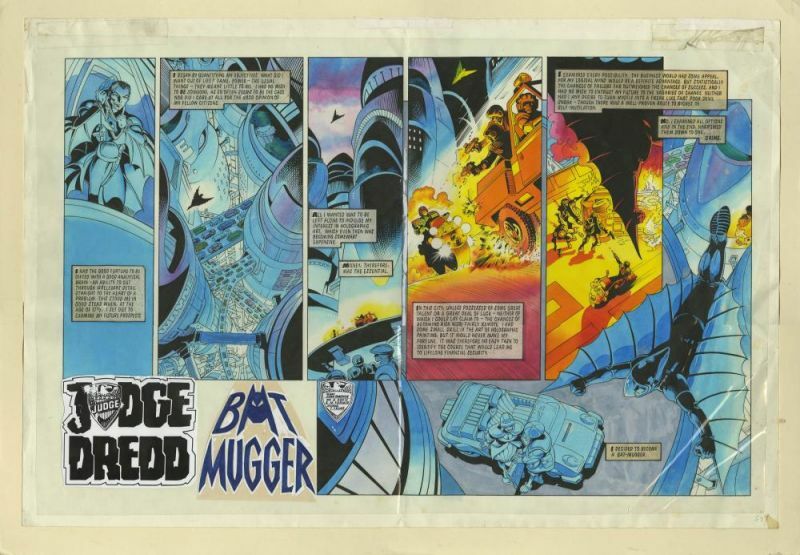 This next piece is a title splash from a Judge Dredd story from 2000 AD, and is also the only colored piece I own. It's pretty big too, making the image much more striking in person. That's it for now. I'll post some other pieces tomorrow which I think some who might read this will actually like. Take care! Whoops, looks like I was a little late about that sorry. To get back on track here are some recent comic buys from a local con I got a few weeks ago. It's great that I finally was able to get that Man-Thing, and Taskmaster finally done. And here are some recent art wins. First up a prelim by the late Dave Stevens. 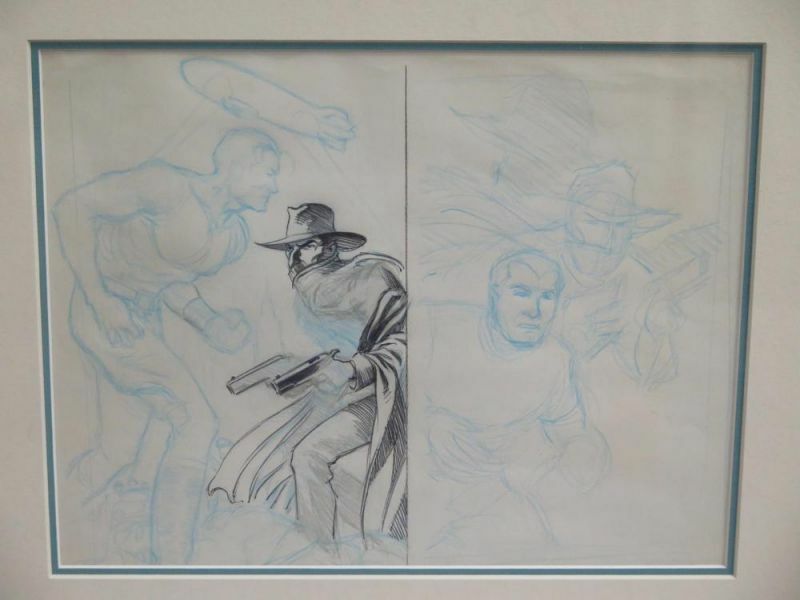 Its of the Shadow, and Doc Savage originally done for "A Savage, and Doc Savage" by Dark Horse. I was really happy to win this piece since I'd been wanting something by this modern legend for a while now. The fact that it already came framed was a bonus. It's really hard to believe that it been almost 10 years since his passing. Next up is an especially exciting piece since it fits directly in my collecting wheelhouse. A page from Spectacular Spider-man #22 with Mark Zeck pencils. 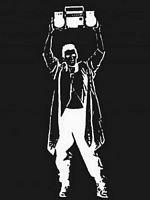 The best part, Moon Knight in every panel! Edited April 6, 2017 by DeadpoolJr. Went to the Art Con, and had some fun. Didn't buy anything, but saw some really cool pieces. Sadly most are greatly out of my price range. If you didn't see the picks I uploaded them to the OA section of the board, but will also put them here if you don't frequent it. These were all taken at Bechara's booth. Hi to all 3 people that read this. 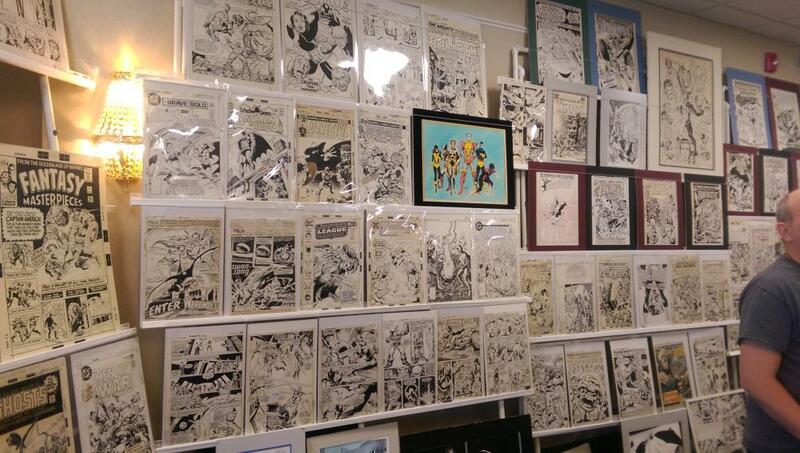 I recently made an attempt to get the silver-age mega key of AF15, but was unable to sadly. I made an attempt, but ultimately fell short. However this was a good learning experience as a collector I think. It made me have decide on what I valued, pushing me to sell some art pieces to add funds to my war chest. There comes a point it seems that every collector comes to face where they have to take stoke of what they really value, and willing to give up in order to purchase items that are expensive for them. Luckily I've already seen some other items I would like to take a run at in the upcoming auctions. I'll update you all in a month or so on if it paid off. Until then later, and please don't bid me up! AF15 is also on my want list, but also out of my price range. What kind of condition was the one you were going for? It was the 4.5 restored copy that's in the current ComicConnect auction. It has great eye appeal for the grade, and ended up going for around $16,400. I had only planned to go up to $12k-13K max with a payment plan already worked out with them. 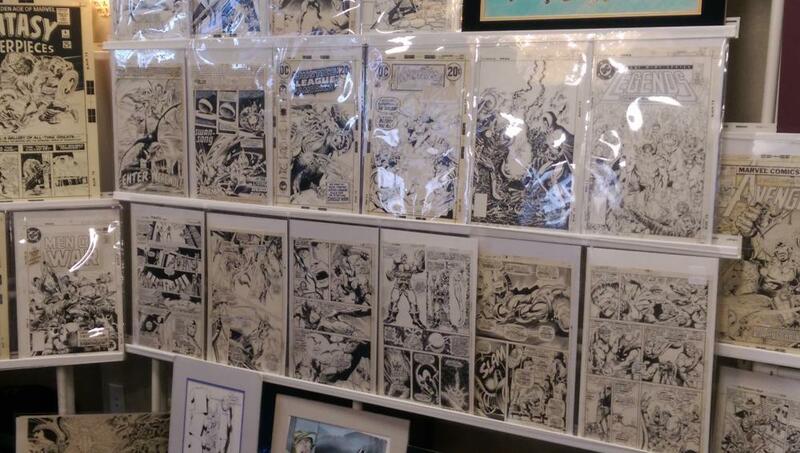 Took another big step, and contacted Clink about consigning most of my more valuable comics. 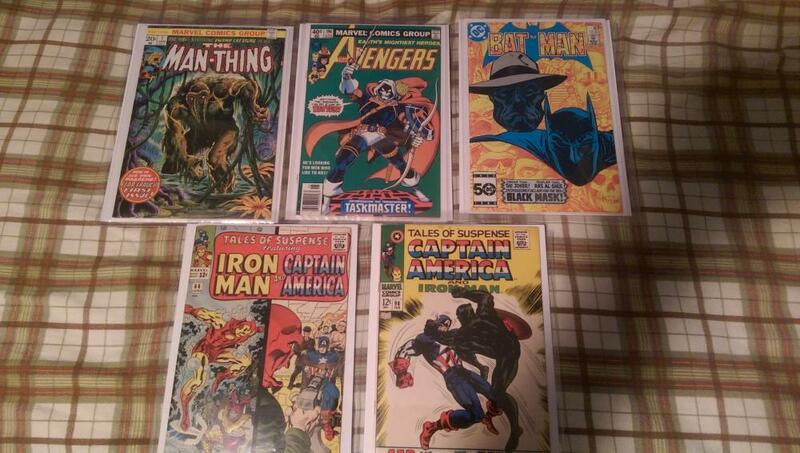 This includes all of my graded ones except for my ASM 50 which is originally my father's who bought it off the stands. 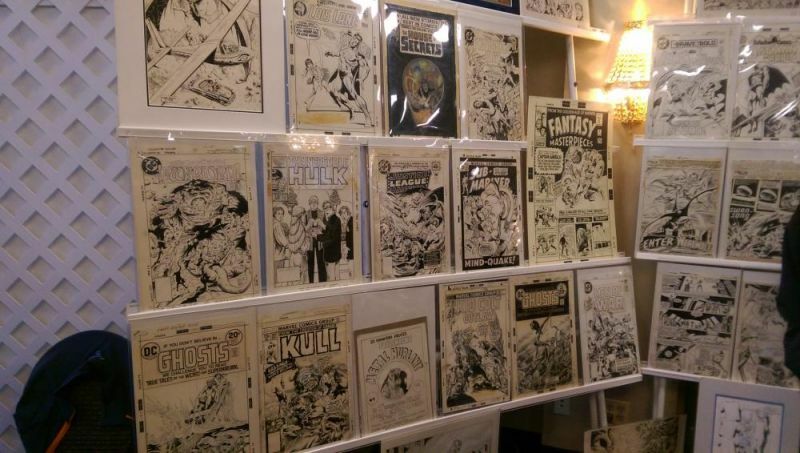 This includes some comics I thought I would never sell like my NM 98 9.8 signed, Tomb of Terror 15 where I can garuntee you won't find a 1.0 that has the same eye appeal as that copy, and my ASM 122. I might end up keeping a few, but think it's time to downsize. I'm also planning on donating a large amount of my drek modern books just to get the space back. Missed out on the things I liked on Heritage, but do see some other things I like coming up. I also finished consigning a large amount of my comics to Clink, and should be dropping them off next week. I decided to keep the Tomb of Terror though since I figure it would be harder to replace. Back in 2000 my LCS had that leather bound book. I was just getting back into comics then so I didn't realize at the time what a find that would have been. I let it slip away and I've never seen one in the wild sense. This is such a cool post - kudos !